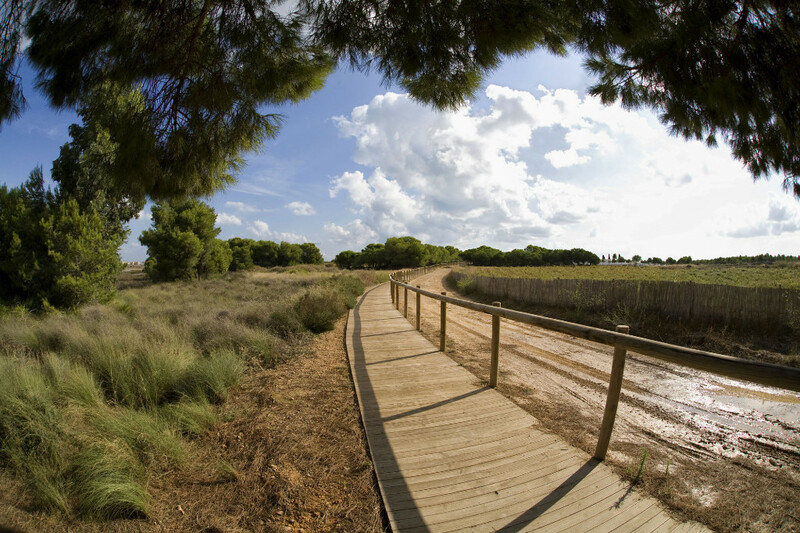 Torrevieja has planted more than 200 trees of different species in the natural park of the salt lakes of La Mata and Torrevieja. This joint activity was organized by the departments of Environment and Parks and Gardens of the City Council, together with the Generalitat Valenciana, the Aquae Foundation and AGAMED. The initiative follows in the wake of actions aimed at the reforestation of the most damaged areas of the park, and this, in particular, to recover an area in which traditional dry farming cultivation practices were developed in the past. The pines were planted along the path that joins the Interpretation Center with the recreational area. According to the councillor for the Environment, Fanny Serrano, the specimens planted were between one and a half and two meters high, and they will help recover areas of this park for visitors and tourists.